Detail of Terpsichore from a painting depicting the instruction of the poet Musaeus. 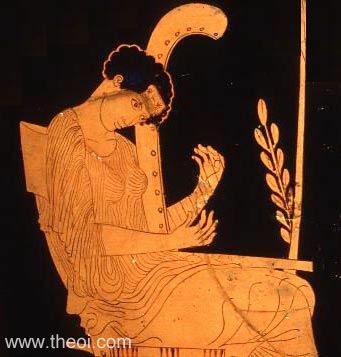 The Muse Terpsichore sits playing a harp. 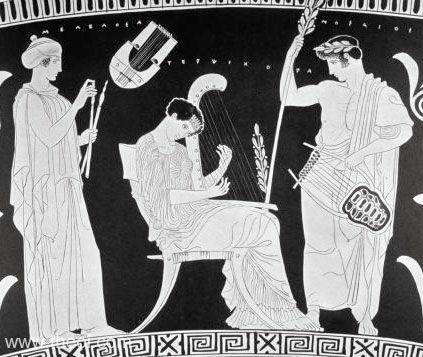 The Muse Melusa stands to her left with a cithara and the poet Musaeus to her right holding a tortoise-shell lyre (see image below).